The town of Mythic Wood has no police force of its own, relying instead on the Coos County Sheriff's Department to enforce the law. The actual Coos County Sheriff rarely appears in Mythic Wood. 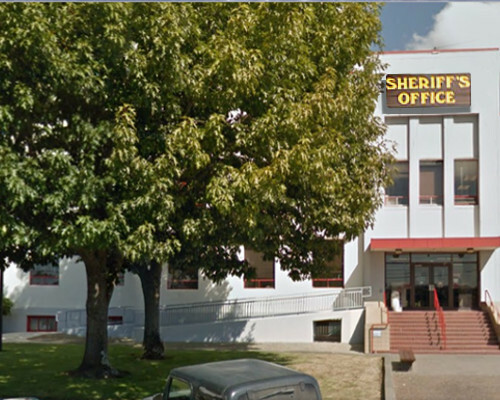 This white two-story building is rather plain except for the large 'Sheriff's Office' sign and the entryway below it. A series of red steps with matching red handrails leads up from the sidewalk to a small landing at the front doors, which is also connected to a long wheelchair ramp coming up from the left. A small overhang over the landing offers protection from rain, as well as two lights for nighttime safety. Except for those directly above the entrance, which are inset, the windows themselves are plain flat rectangles in the white walls of the building. A small grassy area between the parking area and the wheelchair ramp and sidewalk gives almost the appearance of a front yard, complete with a couple of maple trees. Along the street, lamps that are hung with baskets of flowers and seasonal banners that all have Mythic Wood and Daisy Street on them illuminating the area quite well after dusk. Immediately inside the front doors of this building is a small reception area, with a desk just a few steps inside, and an open door to the left leading further inside. The reception desk extends right into the corner opposite that door, with a computer and radio sitting in the corner which seems to indicate the receptionist does double duty as a dispatcher as well. The wall to the right of the reception desk contains a small elevator and a door to the stairwell leading both up and down. The main office space takes up most of the rest of the main floor, though really it can hardly be called offices. Only the Chief Deputy has an office to himself, at the back. The rest of the room is a series of desks, each with a nameplate of a deputy but otherwise organized to the taste of each individual deputy. 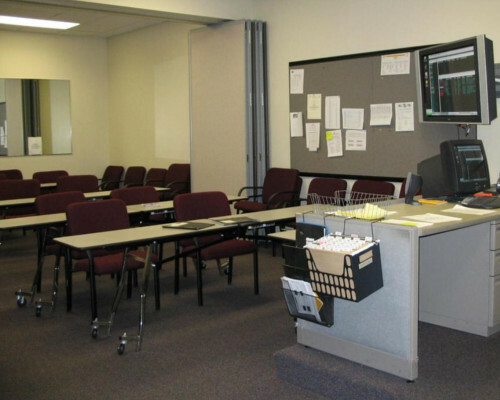 Most of the desks have a top-of-the-line Eos computer terminal, though a few of the desks go without. Though the room is relatively large, the stained wooden walls make things seem just a little more comfortably small and less overwhelming than the room might otherwise be. The Chief Deputy's office is a little more comfortable than the area outside, though it still shares the same wooden walls. 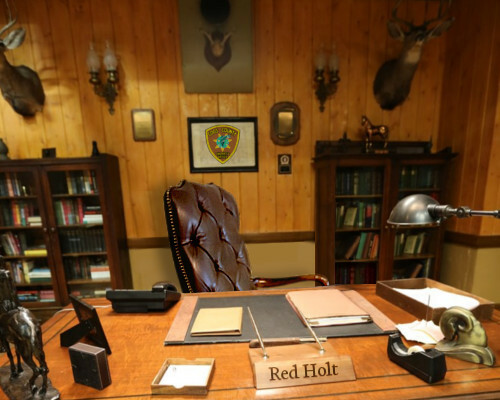 A large desk sits in the center of the room, displaying the nameplate of Red Holt, though it's far tidier than many of the desks in the outer room. 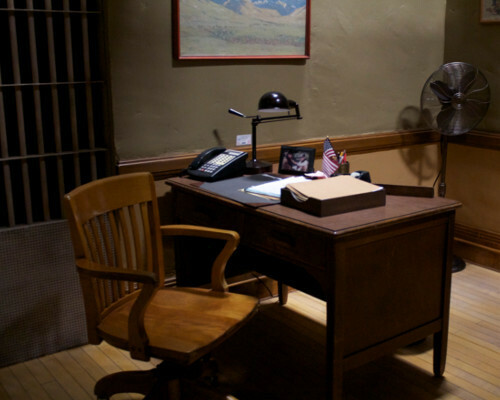 A wood and the leather chair sits behind the desk, with a simpler wooden chair in front and a couch in front of the windows to the side of the room for those visiting. Bookshelves rest to the left and right behind the Chief Deputy's chair, filled with books of various color and decorated with small items along the tops. The walls themselves are decorated with various hunting trophies, plaques, and service decorations. Upstairs, there is a bit less to see. Coming out of the stairs or elevator, there is a simple hallway with rooms off to either side. 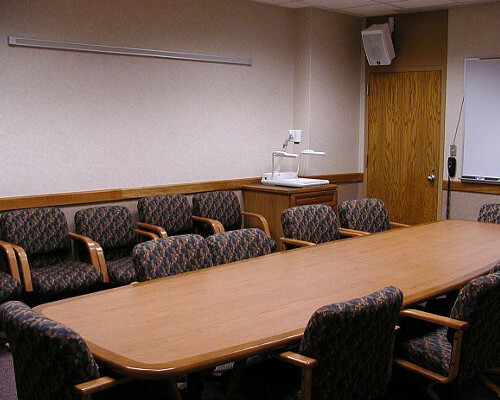 A briefing room sits closest to the stairs and elevator, filled with tables and chairs like a school classroom, except for a whiteboard rather than a chalkboard covering the front wall of the room. 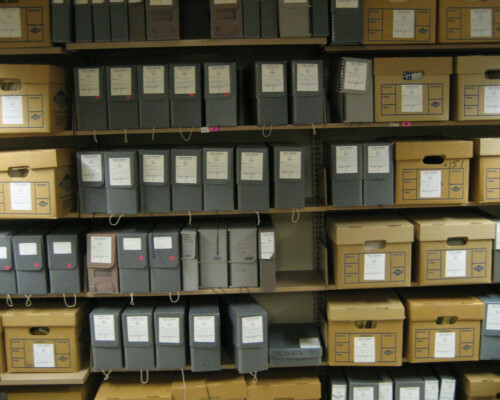 Further along the hall is a room full of filing cabinets, and a small air-conditioned room containing the racks of the server powering the computer network, both of which are protected with electronic security systems. Finally, at the end of the hall, with extra security locks on the door, is a room with lockers for weapons and other equipment. The basement is taken up almost entirely by a series of jail cells, plus a larger holding cell that serves as the drunk tank. Down here is sparse, with little in the way of decoration except for tiny windows letting light in from the street. 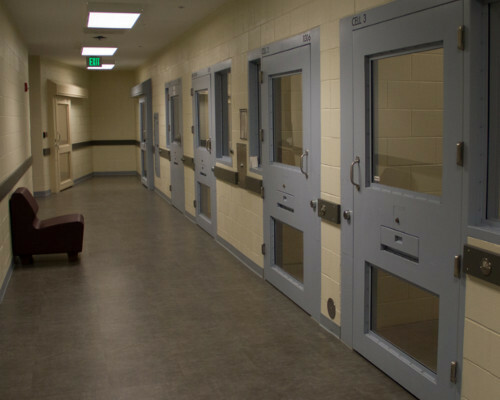 The cell doors themselves are made up of metal and bulletproof glass, keeping any potential prisoners securely locked up, though without much in the way of privacy. Red has been the Chief Deputy — as well as the local Auror in charge — since 2006. He isn't one for titles, so most folks just call him "Red". The Sheriff's Department has jurisdiction over the entire town of Mythic Wood and the surrounding territory, except for the Reservation. At least, that's what the law states. The truth is more complex. The mobile home park on the west side of the city is run by the Iron Brigade. While no law grants them jurisdiction there, the town government and the Sheriff's Office realize that an attempt to force the issue would lead to a dangerous conflict. The IBMC is essentially the local militia, and they have the manpower and firepower to back up that claim. The Lestrange Family and the Celestial Dusk, to the east, consider their territory a sovereign nation, and its residents will violently defend their territory against incursions of almost any kind. Unfortunately, just what territory the Lestranges and their followers consider theirs isn't entirely clear, which has led to a number of conflicts. ● Civilian Employee: Not a law enforcement officer, but a civilian working for the Sheriff's Department. This is primarily office workers handling the daily workings of the department, but also includes paid informants. ●● Deputy Sheriff: The lowest ranking officer in the Sheriff's Department. Commonly called simply "Deputy". ●●● Detective Sergeant: A higher ranking officer that works primarily in the field. There are only two Detective Sergeant positions in Mythic Wood. As such, this Status rating requires 25 Brownies and staff approval. ●●●● Administrative Sergeant: An officer that works largely as a supervisor and coordinator. When manpower is short (which is almost always), an Administrative Sergeant may do field work. There is only one Administrative Sergeant position in Mythic Wood. As such, this Status rating requires 40 Brownies and staff approval. ●●●●● Chief Deputy Sheriff: The highest ranking Deputy in the Mythic Wood office, answerable only to the County Sheriff. This rank is not available to player characters.